Stylish Japanese students in printed street fashion while out in Harajuku. 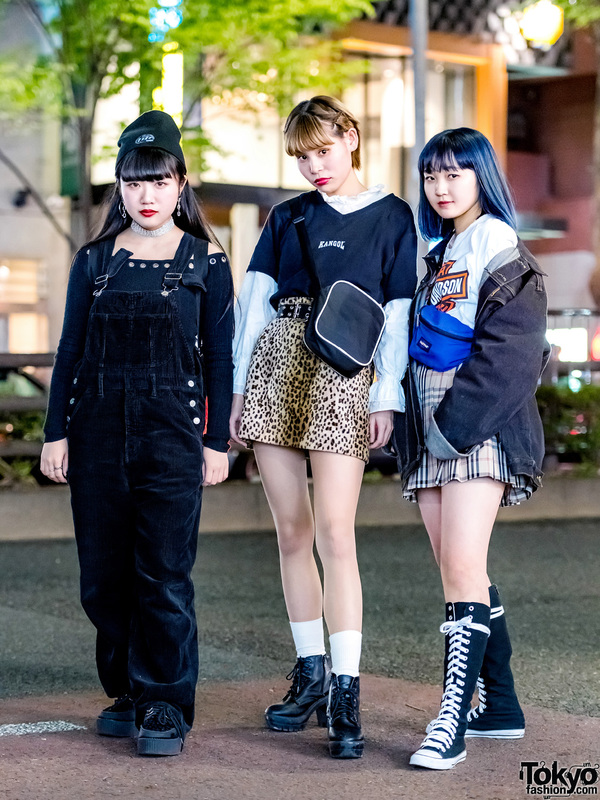 Harajuku girls with pink and blue hair wearing resale fashion including leopard print, platform shoes, and vintage camisoles over shirts. Ririan from Himitsu Kessya in Harajuku with striped top, long leopard skirt and Tokyo Bopper platforms.